The proof copy of I'M WITH YOU with its new cover arrived. The cover is matte instead of glossy and it looks AMAZING! 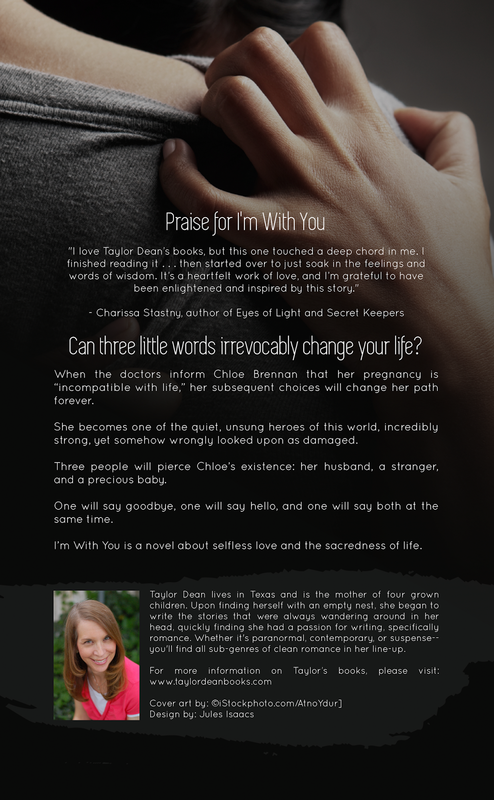 I'M WITH YOU will be available with its new cover by the end of this week. And this weekend, I sealed the deal for an AUDIOBOOK of SIERRA! I love the narrator's voice and it's so fun to hear my book come alive! Anything exciting happening in your life? You've been busy! I love this new cover. The audiobook sounds fun. Did you pay a professional, or did you find someone you know who has a cool voice do it? So busy! All the changes to my book covers has kept me busy, and what I really want to do is get on with writing my next book! I went through ACX to get my audiobook. You upload a portion of your book and narrators send you auditions. So fun! You can choose to share the royalties with the narrator for seven years or do a one time payment. I chose the one time payment. This will be an experiment to see how many audiobooks I actually sell. If it's successful, then I'll move forward with making my other books into audiobooks also. Worth a try! Thank you, Sherry. I hope you're right. My daughters kept telling me to choose matte. I finally gave in and now I wonder why I ever chose glossy!